I am active on three platforms and I have not invited clients but I do let others know I am available privately and on other sites. It’s easy for people to find me if they want to. That’s not a violation at all! Just to confirm that taking clients outside of Upwork before 2 years it is a violation on our ToS. Meaning if your pointing them to other platforms that your active on, our team will review everything further. Hi Goran, If you read my messages to clients you won’t find any evidence of me directing to other platforms at all and I have spoken to the customer services team about the original subject matter many times. 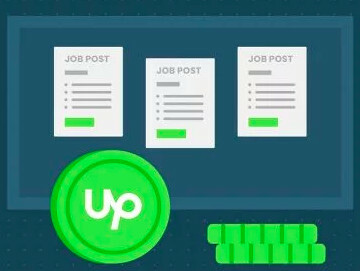 I’ve discussed other systems on other platforms too and pointed out the pitfalls of Upwork’s system. Unfortunately it is not seamless and it is not fault-free. The purpose of this thread was to try and get someone to re-examine it. I was advised to post on here by Upwork support as you review ideas which is why I did it. I do hope though, that if you do take time to read my messages you will see how pleased my clients have been and take that into account ref the feedback query! Those two statements are connected: It means "We have told you the same thing time and time again, we won't tell you anything different this time or the next many times, feel free to tell someone else..."
Furthermore I am a little puzzled that you think your "No Feedback" contracts are having much of an effect on your JSS.... They almost certainly don't, you don't have a high percentage of those and a small percentage does not affect your JSS. Yes we are always making full reports of each feedback we receive, as I have already done on your first comment. Please note that reviewing profiles does not mean that actions will be taken. Your more than welcome to post or discuss any topics you would like, even provide advices for new freelancers that are struggling and are coming here for an advice. If you need further help with more private details you can always write me a PM. Enjoy the rest of the weekend all. 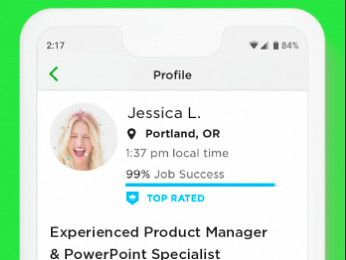 Completely agree with Emma, Upwork has a ridiculous JSS system, which does not favour freelancers. I have long term clients, who do not leave feedback - but they are happy hence giving me repeat projects again and again. Upwork does not take this into account - even with 100% recommendation form clients, they have reduced my score to 76, rendering me unsuccessful in getting new projects even after delivering well on all my previous work. I am also looking to other sites than Upwork, because of this. You are so right, so according to Upwork it is the freelancer's fault if the clients aren't leaving any feedback, if they are one-off users and are irresponsible, unprofessional, careless and directionless? Oh well, and we are also respsonsible for the shady "private feedback" part, how can we even think of improving something that is kept private from us? 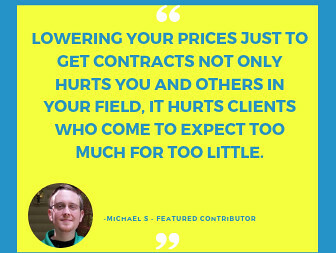 If a client has a complaint they can directly message the freelancer and communicate better, instead of ruining a freelancer's JSS and work history.